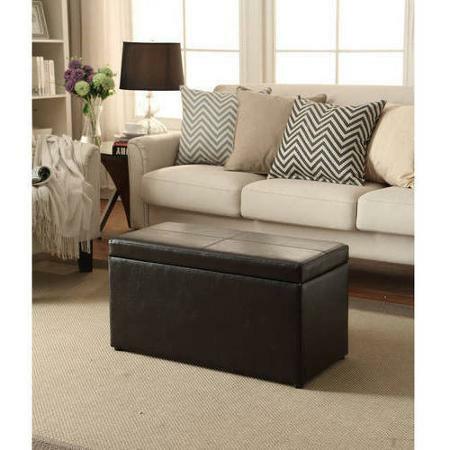 Savvy Spending: Walmart: Faux Leather Storage Ottoman in Black or Brown for $35! Walmart: Faux Leather Storage Ottoman in Black or Brown for $35! Walmart has this 30″ Faux Leather Hinged Storage Ottoman in Black or Brown for just $35 (reg. $49). Choose free in-store pick up if available near you! Start at Top Cash Back for 4% cash back as well as a $10 sign up bonus for new members!